A timeless classic receives a much-needed facelift. It's almost impossible to find a Nintendo fan that hasn't played The Legend of Zelda: Ocarina of Time. 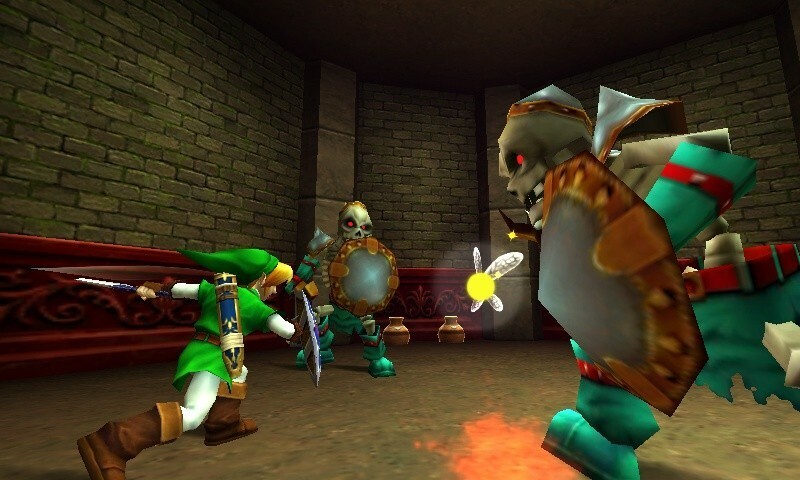 This universally beloved game helped put the Nintendo 64 on the map in 1998, as thousands of players flooded stores to buy both the game and console. Either you pre-ordered a copy and went home happy, or were forced to wait several days until the next shipment arrived. Over the years, Nintendo has taken good care of the game, re-releasing it on both the GameCube and Wii, but these were mere ports of the original. Come June 19, however, this enchanting title will receive the treatment it rightfully deserves with The Legend of Zelda: Ocarina of Time 3D, a new version of the timeless adventure enhanced for the new 3DS system. The biggest feature that jumps out are the graphics. Gone are the fuzzy visuals from the N64 edition, replaced with vibrant artwork that brings the game to life like never before. Everything overflows with detail, from Link's village to the hero himself; there's no comparison between N64 and 3DS Link. Now factor in true glasses free 3D effects, the Ocarina will be irresistible, even if you beat the original several times. In addition, Nintendo made slight adjustments to the game that'll make it more user-friendly, starting with the ability to equip items via the 3DS' touch screen instead of pausing to check the inventory. Perhaps that'll make plowing through the notoriously difficult Water Temple a bit easier. On top of that, you'll be able to enter a first person mode while using Link's slingshot, then aim by physically maneuvering the 3DS, thanks to the system's built-in gyroscope. Finally, there's bonus content in the form of the Master Quest, a second quest with redesigned dungeons and puzzles that also benefits from the visual upgrade. 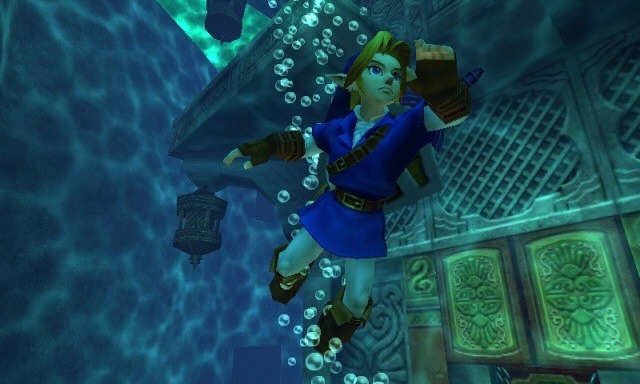 That said, the classic Ocarina experience remains intact, starting with the epic story involving Link as he explores the dangerous land of Hyrule in a desperate attempt to prevent Ganondorf from obtaining the Triforce. That means beloved characters make a welcomed return, including Princess Zelda and other familiar faces. You can also expect the same quality play, as Link wields the aforementioned slingshot, harnesses the power of the Master Sword and hitches a ride on his trusty horse, Epona. All of this should make Ocarina of Time 3D one of the 3DS' premier games and the best reason to own the system. Expect a review the week of its release.